Mouton Media Public Relations helped Sodexo, the Tulane Dining Services contractor, plan a party to celebrate the fifth anniversary of the local news program, “News with a Twist.” When Mouton Media learned that WGNO-TV’s popular show was turning five years old, we suggested that Sodexo throw a party, complete with a cake and party games, as a way to show appreciation for the show which has regularly featured innovative Tulane Dining offerings. 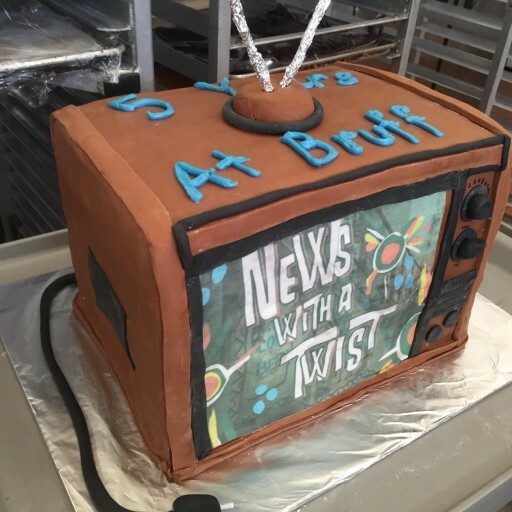 The end result was a fun-filled event featuring a 12-inch-high birthday cake in the shape of a television set, a custom made game of Twister and a commemorative wooden barrel top bearing the show’s logo. 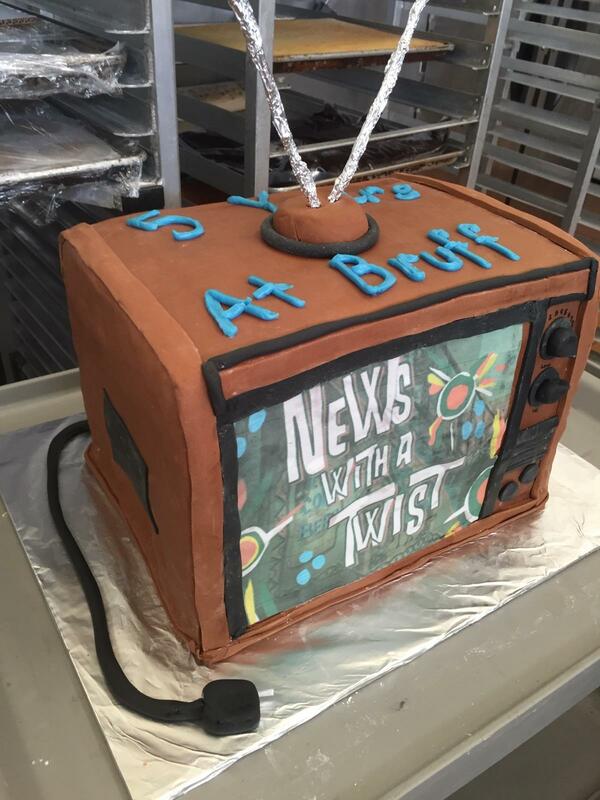 Pastry Chef Amanda Thompson crafted the cake in the shape of an old-style television set, complete with rabbit ears. It took about two days to finish the white cake with strawberry jam, vanilla eggnog and butter. 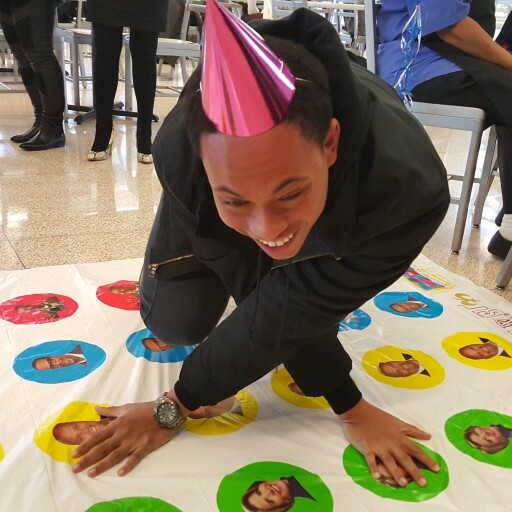 Graphic designer Becki Triana customized a Twister party game inserting the show’s news anchors faces throughout the game. 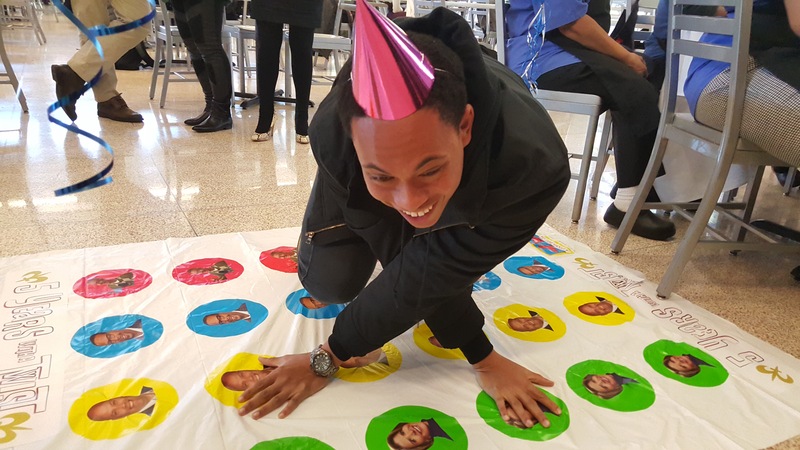 When news reporter Bill Wood arrived on campus, students and dining services employees took a break and played a round of Twister. Click here to watch.